“One of the best things about friends is being able to throw them birthday parties! 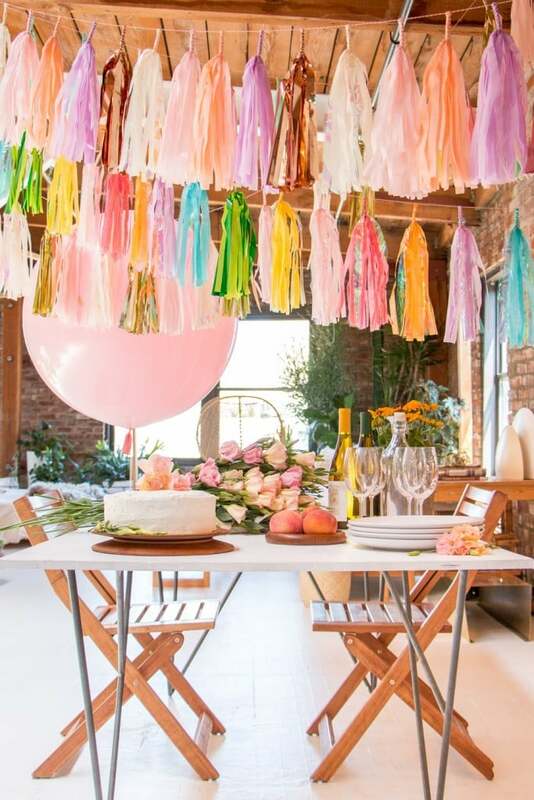 I transformed this modern loft in LA’s Arts District for a fun, afternoon birthday party that was girly and oh so cool. Decorating was a breeze. I hung four Prospect Goods Tassel Garlands over the table, draping each of them at different heights. This birthday was all about low-key fun, so I didn’t worry about matching the Tassel Garlands. They all went together and I seriously loved the results. Of course, I had to use one of Prospect Goods’ 36 Inch Balloons! I love them because they are such a modern take on birthday balloons and are an easy addition to the party.